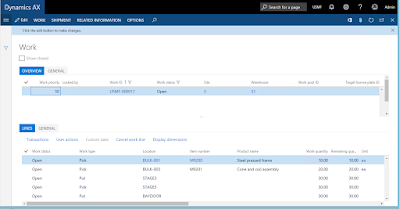 In the new Dynamics AX the approach to how display/edit methods are refreshed by the kernel has changed to much less aggressive, meaning that after migrating your application to the latest version you might find that after opening the form the data is correct, but after performing actions and editing data the display/edit methods data is not refreshed. This blog post is going to explain, how to handle such cases now. I want to stress the importance of reading about this, since this is completely new (among many other things) in AX '7', and without full understanding of these mechanics you will not be able to write efficient and correctly working user interface code. As you can see from the names of these types, they are relying on the Observer pattern, subscribing to notifications about data changes, so as to invoke the refresh of the display/edit method data. Enjoy, and kudos to the author of that blog. 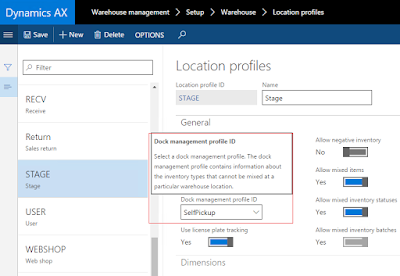 Today I wanted to talk about some of the less known features we have in the Warehouse management module, namely the Anchoring functionality and the Dock management profiles. Let's start with just describing a scenario where this might be useful. A company might be reselling goods in an environment, where deliveries are frequent, and there is no time at the dock door to sort out situations where the goods are spread out across multiple staging locations. The trucks need to pick up everything already packed nicely and be off fast. Very often, the truck driver himself would load the goods on the truck, without waiting for warehouse crew (in which case he'd have a WMDP scanner hooked in to our system). Sounds like a typical day for any distributor. To help with the 2 first items, you can use anchoring and dock management. Below I will explain how to set it up and walk through a simple example of using these 2 features. This feature gives you the ability to "anchor" multiple work order lines together, so that items picked all follow the same path in the warehouse. You can choose if you want the work to be grouped together based on the shipment they belong to, or the load they are on. The setup is very simple, and you only need to choose if you want to anchor by shipment or by load. And that's it. 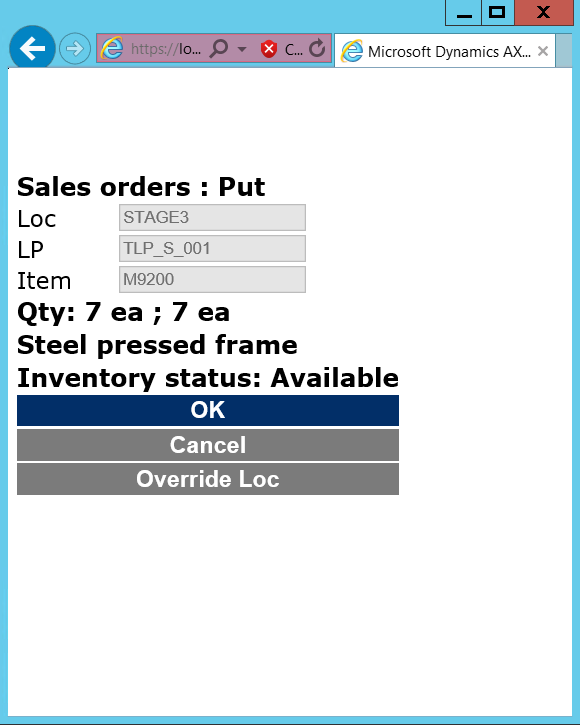 Now, when any of the work lines from the shipment/load is put down into a specific location, whether that is for staging or at the final shipping location, all other related work lines will be updated with the same location. All the proper validation, such as checking for mixing rules, batch mixing, status mixing, etc. are performed, of course, along with the check for dock management rules, which we'll talk about below. This feature is also useful when a worker is to put items for order 1 in a staging location by Dock 1, but can’t because a previous load hasn’t cleared the location. Rather than waiting for the Dock 1 staging location to become available, the worker decides to use the staging location for Dock 2 instead, and overrides the suggested staging location. 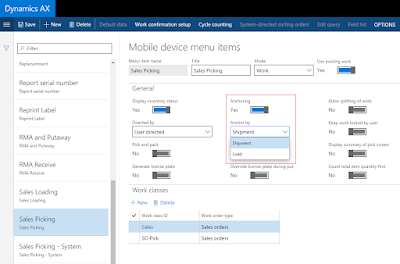 The put location for all remaining items for the related work orders is updated to the Dock 2 staging location automatically. If you subsequently override the location when executing one of the anchored puts, that will be allowed, and will not update the other locations, treating this put as a 'special case'. 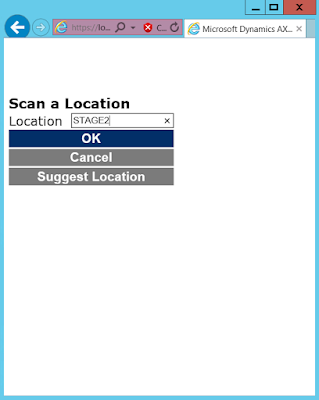 If you do not want that to happen, you could consider not allowing your workers to override Put location (That is set up on the Worker). 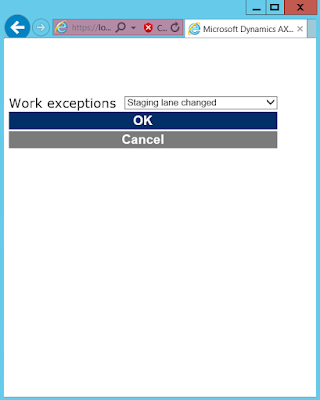 Work is anchored inside the WHSWorkExecuteDisplay.processWork() method, that is, during work execution, more specifically, when executing the Put step. This feature extends the restrictions you can put in place on where goods can be placed in the warehouse, e.g., not allowing to have more than 1 item or batch, or inventory status, in a location. These rules are validated both when work is only being created (as in, when evaluating the locations found through the Location directives), as well as when executing the Put, as in the above example with anchoring. 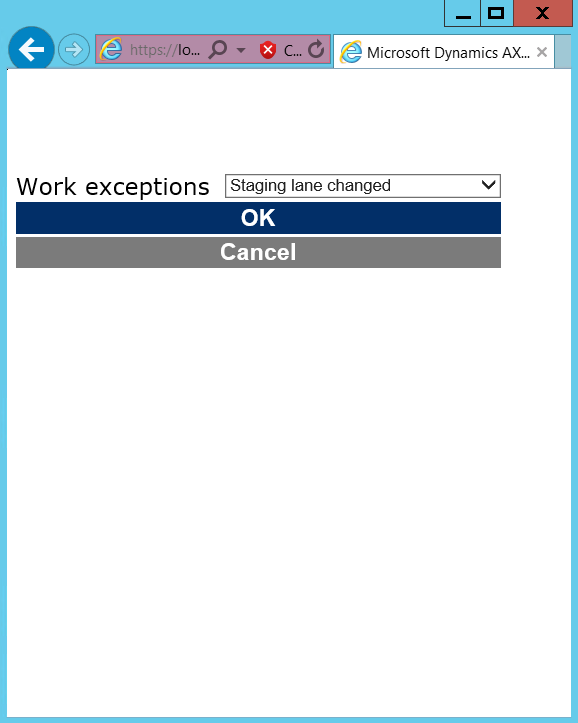 It is also triggerred when changing the work location for a shipment or load (By clicking on Change work location button in the corresponding form). Note, that no validation will be performed (including the general mixing rules and stocking limits) when determining the location to Put, if the Assume empty location for new wave is set on the dock management profile. As the name implies, these restrictions only apply to staging locations and final shipping locations. Note, that even though you can specify a dock management profile for any location profile, including inbound, it will not have any effect. Class WHSDockManagement is responsible for all the validation ensuring we do not mixed inappropriately in the location. I have highlighted in bold the 3 points I want to make in the walk-through. As you can see, the third work was directed to a different staging location, STAGE2, because I have set up the dock management profile to prevent mixing of items not belonging to the same Load. The first two work orders are both going to STAGE, since they belong to the same load. 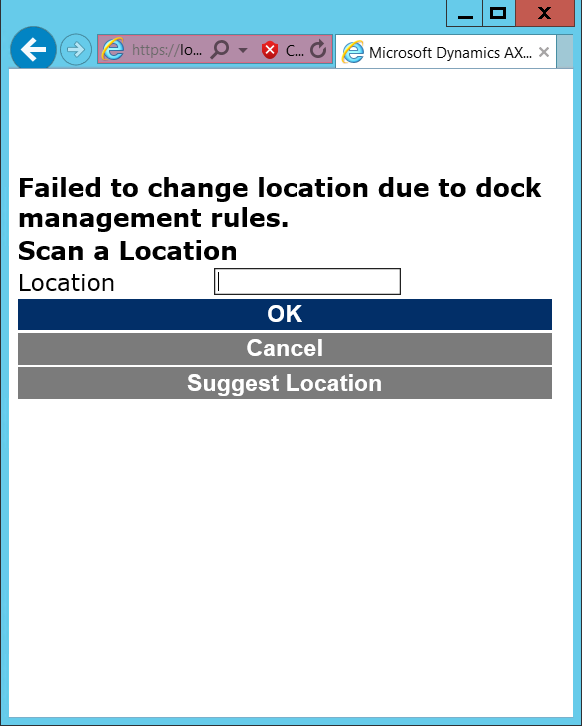 As you can see, we have received a message "Failed to change location due to dock management rules.". That is as we expected, because we have work 3 already on its way to STAGE2, and it belongs to a different Load, so cannot be mixed. As you can see, it was also updated to now point to STAGE3, both on the Put and the following Pick step (as this is a staging location, so we know there are subsequent steps). 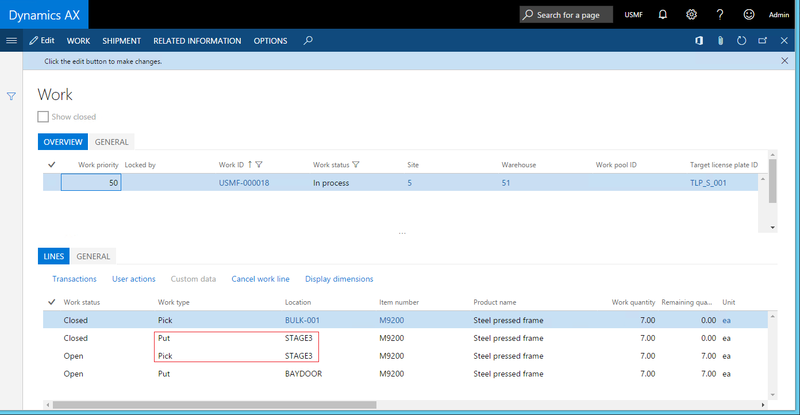 Trying to execute this work now would suggest STAGE3 as the location to put the item into. 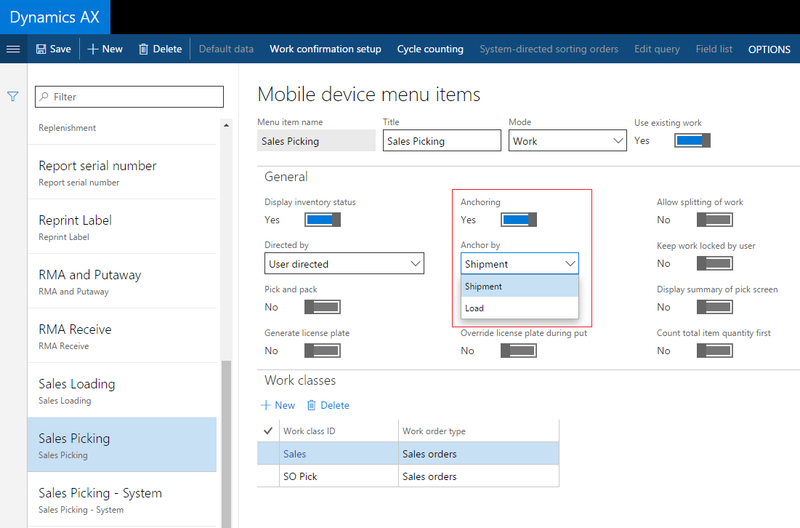 The same can happen for loading work, updating the final shipping location on all relevant work lines, if the Sales Loading mobile device menu item was set up accordingly. Pretty simple, but with great flow control for the warehouse managers out there. Let me know if you find these features useful, and if you use them in an alternative way in your company / have modifications on top.